DANVILLE — Investigations into the death of an area woman continue after her body was found in her home late Sunday evening. The Vermilion County Sheriff’s Department was called just before 9 p.m. Sunday to the home of Jamie L. Sternberger, 40, along Greenwood Cemetery Road. Capt. Rod Kaag, chief investigator for the sheriff’s department, said Sternberger was found dead inside the residence with initial indications of gunshot wounds. ANVILLE, Ill. (AP) – Authorities in east central Illinois say a man found dead with a self-inflicted gunshot wound in Parke County, Indiana, was a suspect in the murder of a 40-year-old Illinois woman. 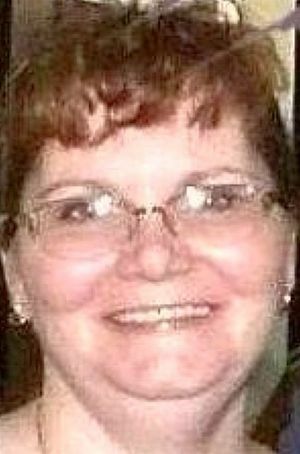 The woman, Jamie L. Sternberger, was found fatally shot Sunday in her mobile home near Danville. Her vehicle was found Sunday in Indiana at an undisclosed spot where 43-year-old Michael Penrose is believed to have committed suicide. Chief Deputy Bill Todd of the Parke County, Indiana, sheriff’s office says Penrose may have been living with Sternberger for about six months at her home outside of Danville where her body was found. Capt. Rod Kaag of the Vermilion County sheriff’s department tells The (Champaign) News-Gazette (http://bit.ly/1cla9tu ) investigators consider Penrose the only suspect in the murder. However, Chief Deputy Bill Todd with the Parke County, Ind., Sheriff’s Office said his department is working through its official identification confirmation process, but they believe that it was the body of Michael Penrose, 43, that was found at 5:38 p.m. Sunday at an undisclosed location in Parke County, Ind. Todd said they believe Mr. Penrose was the victim of a single self-inflicted gunshot wound. He said they have linked Mr. Penrose to a rural address near Rockville, Ind., but believe he had been living temporarily with Ms. Sternberger for the last six months at her mobile home. This entry was posted in Dead, Domestic Violence, Illinois, Multiple Shooting, Murder-Suicide, Woman on December 29, 2013 by usgunviolence.